The characters live at the Erdõs dormitory in Kaginomori Academy. The head of the dorm will soon have his little sister joining them, so they decided to clean the whole place. This leads them to find mysterious keys and incantation-like words. Eventually those are revealed to be clues guiding them to a secret room with a gigantic object that could be only described as a “Celestial Globe”. This artifact is linked with the truth behind their world and the “real” world. First is the protagonist because, different from many, I still consider Galge main characters to be, well…main. Anyway! For this title we have Oumi Renri, he is so mature, responsible and reliable that the other students living in his dorm gave him the nickname of “mom”. He is a very talented cook, that’s why he is responsible for everyone’s meals. In exchange, everyone obeys him. He cares a lot for his sister, but he doesn’t seem even a bit preoccupied or jealous of her making male friends or even a boyfriend because…he is the onii-chan! Feeling forbidden love since forever is only for imoutos! 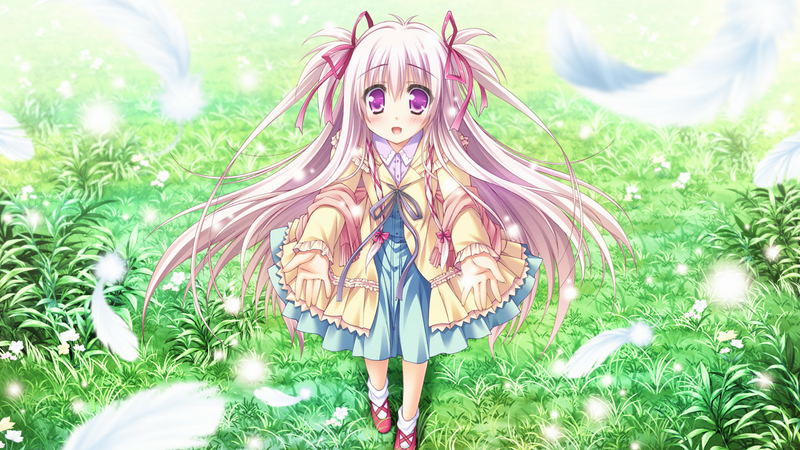 Oumi Kokoro is Renri’s little sister and the (non-secret) main heroine. She has a very bright and positive personality. She spent a long time living in a Hospital suffering from who-knows-what disease. 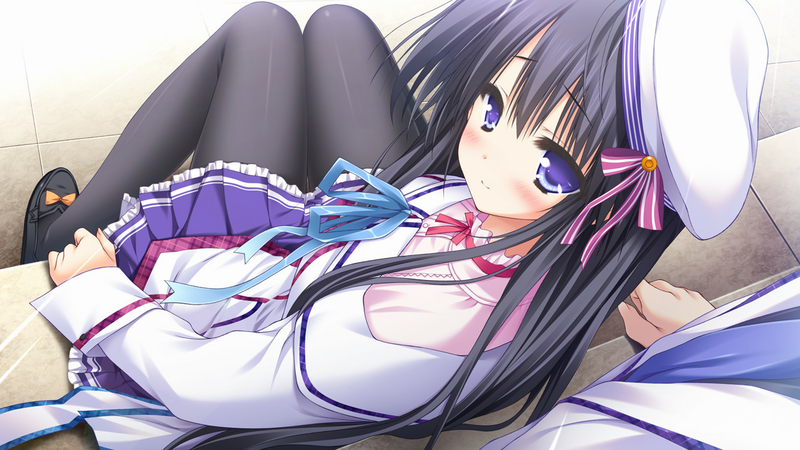 All you need to know is that the few contact she had with people other than Renri serves as an excuse to why she is in love with her brother and why she is so innocent and fragile. She is a fast-learner and always want to help her brother around. The Globe is related to every heroine on a certain way, it has the ability to give form to people emotions, creating a lot of distortions and creepy effects though each route. It makes for interesting developments for some routes, but some are considerably less than others. Some events are connected and shared between some heroines before you enter a specific route, like usual, but it doesn’t take too long to end the normal route. 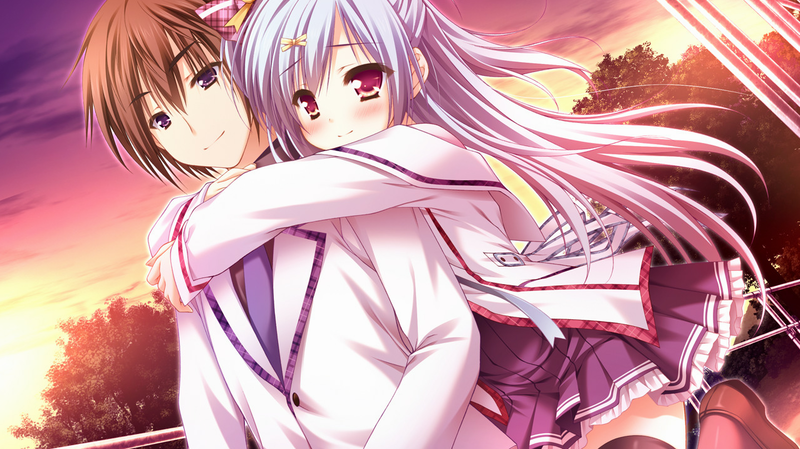 As for the heroines, their routes are good, but to tell the truth, the drama in it feels so unnatural or even forced. Most of the drama scenes consist of cheap events like “curing a bird’s wound and helping it to fly again”. There are some weird events too, like “instantly curing the lack of emotions in a girl by giving her cupcakes”. Maybe it’s the seiyuus fault, nearly everyone in the cast are beginners (more about that later). Once you see all the endings, a cat (angel?) icon will appear in the “Constellation episode” menu, this will unlock Mitsuba Ao’s route, who for most part is just a sub-chara, but here she becomes a secret heroine! Oh Yeah! I can feel the “otoko no roman”! 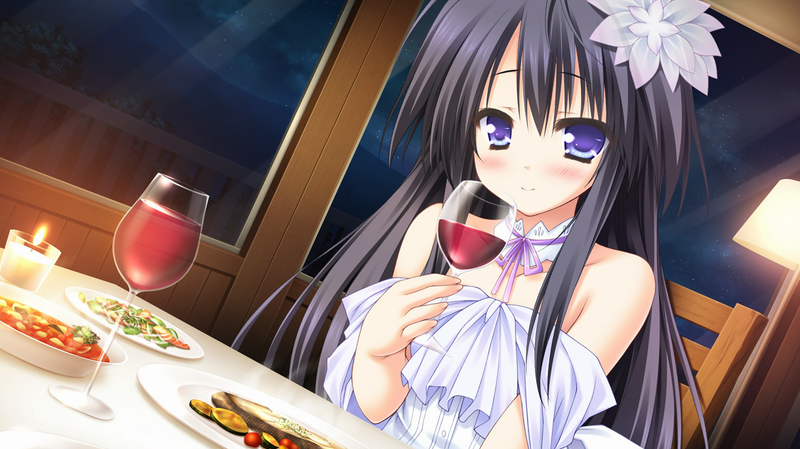 Her route is a must see!! It’s what I would like to say… actually, it’s just a very short and silly story that really doesn’t add much. It doesn’t even feel like a good reward for completing the game! Therefore, if you were expecting a “true route” of sorts upon completion, you will be disappointed. 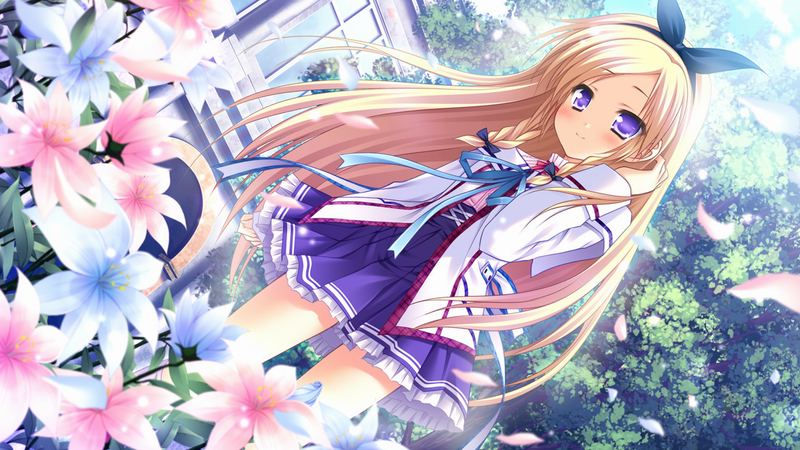 Every route already explains enough about the mystery behind the Celestial Globe, so I recommend to only play through the routes of your favorite heroines. 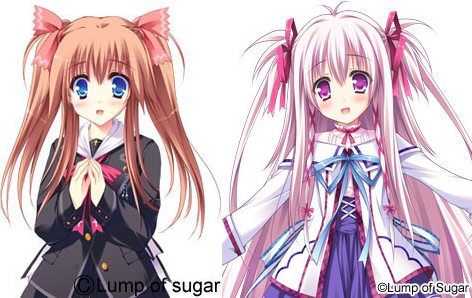 When I played Nursery Rhyme – Lump of Sugar’s first title – I found the graphics to be charming at the time, but with time, I got tired of how little the quality has improved since, which reminds me of Key’s case, where it seems they just learned how to use Photoshop better to improve the coloring, but haven’t worked to improve the drawing itself. For this reason, nowadays I find Moekibara Fumitake’s illustrations to have weak coloring with average shapes and uninteresting designs. But what do I know? After all, there are A LOT of people who buy those games just for Fumitake’s art. 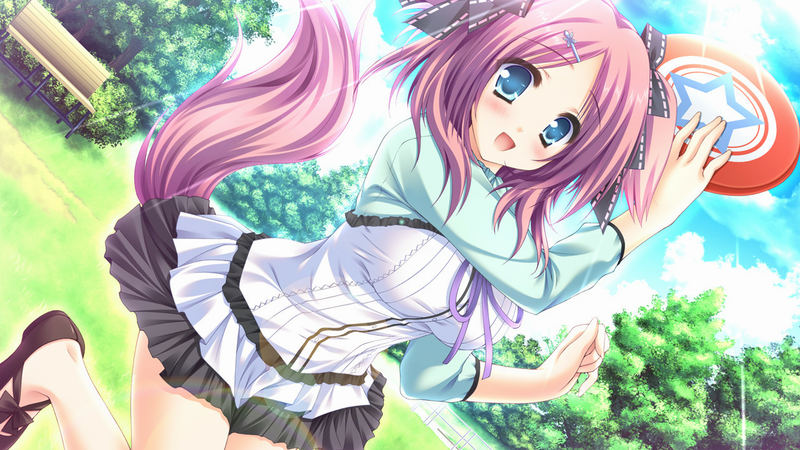 There are some SD CGs too, but just a few, like one for each heroine. Not like I miss them, but pray tell, why bother to add them at all if there will be so few? The designs here are not even a bit impressive and every single one of them gives you a feeling that you have already seen the exact same design before, specially Minori and Ataru! They look so generic that I want to punch them in the face! Maybe then they would look more innovative. Well, this is just the point of view of someone who played too many different Galges. I admit it! I am no Lump of Sugar adept! I played most of their games, but I didn’t particularly enjoyed any of their recent works. However, I must admit that, while I did not love all the characters here, at least there was nothing for me to hate about any of them. 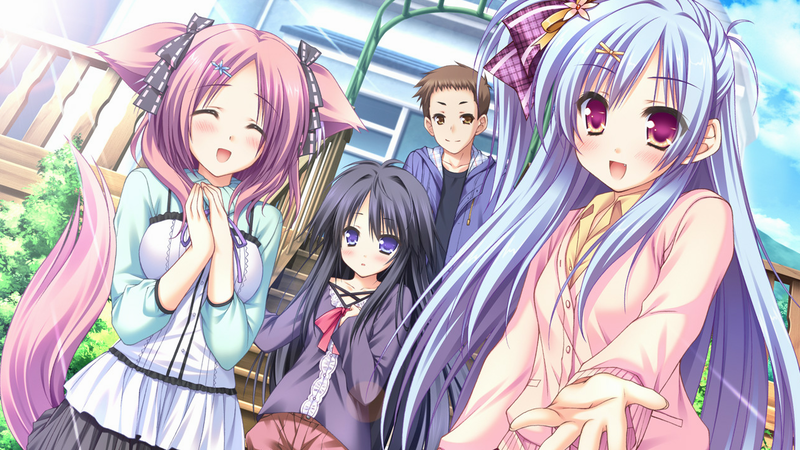 There are good interactions between the protagonist and heroines and no one insults or treat each other like idiots. 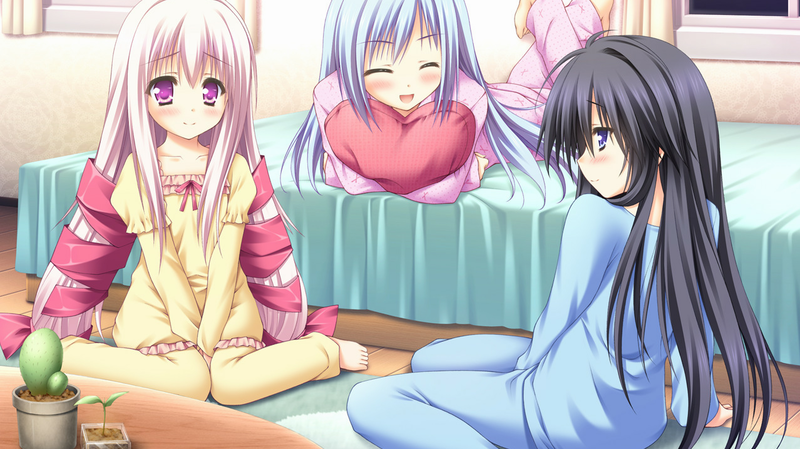 They’re all really good friends, which makes all routes really enjoyable and relaxing to read. This entry was posted in Galge and tagged Galge, Lump of Sugar, Review. Bookmark the permalink. So… I actually lost my motivation to read this one. Lump of Sugar’s games are growing on me, especially their recent ones. What made you lose your interest? I believe this game is on par, maybe even better than some of their recent titles. Well, in my case, I like their old ones, specially their second game. Same reason actually. Lump of Sugar’s “sugar” is too much for me. I liked their old games better, especially Itsusora. But anyway, since you’ve said it’s better than most of their recent ones, I’m going to give this a try soon. I’m going to have to agree with Sheltis on this one. 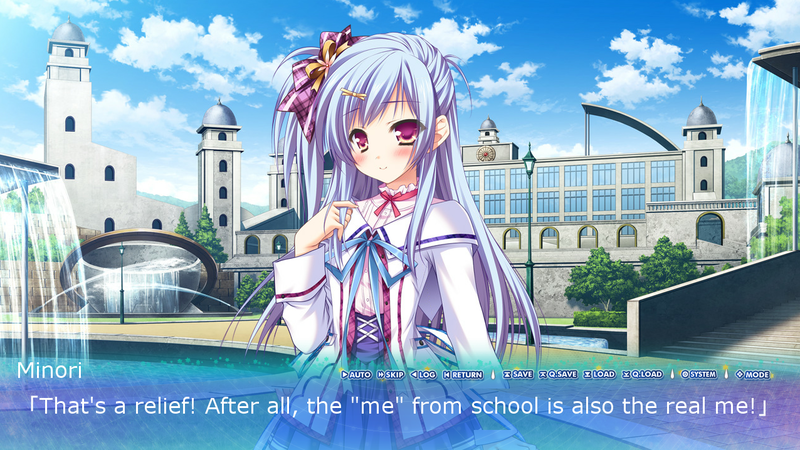 After having played Tayutama, which was pretty much the best LoS title (even after Nursery Rhyme), and seeing decent titles like Hello Good-bye, these titles tend to form the standard for me. As I hint in my own review (and directly state in yours), LoS has been rather bland with their designing, in more than one way. Perhaps this game was one where everything kinda sucked (because I didn’t like it overall), but in the end, I’ll probably still play and review their games because of how much I love Mashiro and her Tayutai “tribe”. Jokes aside, I see what you mean now. Generally speaking, your reviews tend to sound more favorable than mine, so in my perspective, it seemed as if you were praising this game. Regardless, I should still make an obligatory comment that when making reviews, it’s YOUR review–not someone else’s. Theoretically, even if you wrote up a rather negative review (since we all know how LoS decreased in quality recently), a wise LoS fan would be able to realize your intention of trying to compare this game with the “better” LoS games. I intended to be negative, since this could be a very low-quality game compared with other LoS titles. However, while I think that some technical factors were lacking, the characters and settings were not horrible. Honestly, it is far from being among the worst galges I’ve played recently. That would be Timepiece! 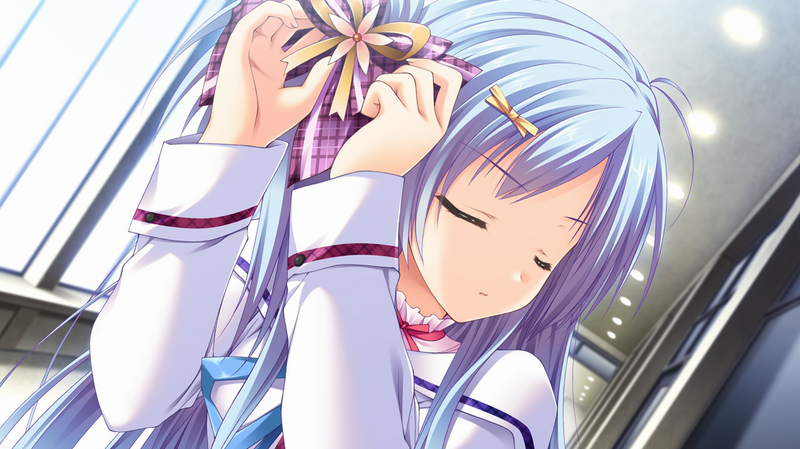 Nao’s “route” has less than 10 minutes, has no H-scenes, character development nor revelations about the plot, so if you’re not in love with all heroines of this game, I recomend you to just grab a save data somewhere to unlock it, because I don’t think it’s worth to see all endings just for this little bit. If you didn’t find Nao’s little event yet, it is inside the extra menu, among the options to see CGs and H-scenes, there should be a option to be a screen full of constelations, I think it is called “constelation episode” or something like that. Inside this screen, it should be one incon which doesn’t belong, one that look like a cat. 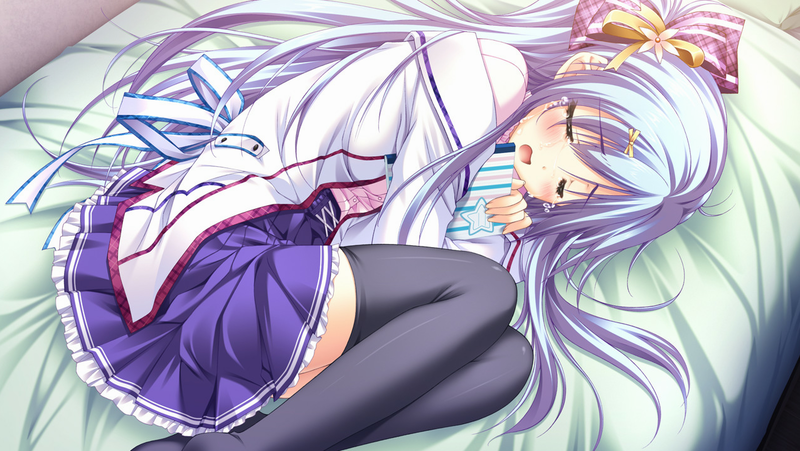 If you click on it, you will be sent to Nao’s route. Totally together with you on the Aira fanclub! My favorite character for that game…Actually, the only character I like in that game! I am not a lolicon either. 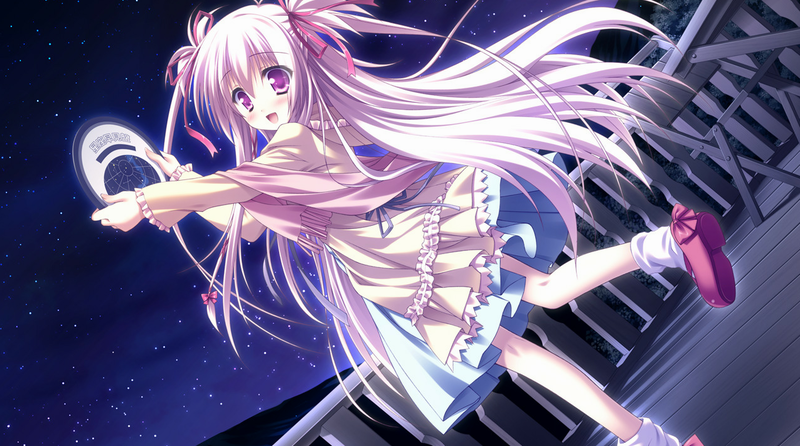 I like those “fushigi-chan” types, but they tend to be lolitas, for some reason…It’s not my fault! “shinn87”, huh? I think we could become good friends! question: how did you get the game in english?